With the UK now totally digital and Freeview HD transmitters creeping into most major regions, who would buy a TV with just a bog standard digital tuner? Considering its Full HD resolution and super-slim appearance, we can only imagine that this, Toshiba's latest in a long line of 40-inch Edge LED TVs, is aimed at those with subscription TV services. A Freeview HD tuner still carries a premium of £50-£100 on a TV, so it's worth manufacturers making bare bones TV for Virgin Media, BT Vision and Sky subscribers, we suppose, but there's relatively little else on this BL Series screen to tempt. The Toshiba 40BL702B's Full HD LCD panel makes it a candidate for using with a Blu-ray disc player and games consoles, but its 40mm panel depth and use of LED backlighting will prove just as attractive. What the Toshiba 40BL702B does lack is a smart TV dimension, which is a shame though hardly surprising on a TV without built-in Freeview HD guts. Ignoring 3D, too, the Toshiba 40BL702B also passes over the brand's successful CEVO picture engine, though do remember that this is a package geared towards achieving a low price, not the highest standards. With a gloss black design and a bezel width of around 30mm, there's nothing particularly mould-breaking about the Toshiba 40BL702B, but it's pleasant enough and in terms of looks it certainly doesn't make a flatscreen faux pas. Aside from this 40-inch model, other screens in Toshiba's BL Series include the 22-inch 22BL702B and 32-inch 32BL702B, both of which also feature Full HD resolution Edge LED-backlit panels. Other 40-inch Edge LED TVs in Toshiba's 2012 lineup include those from the RL Series and TL Series. 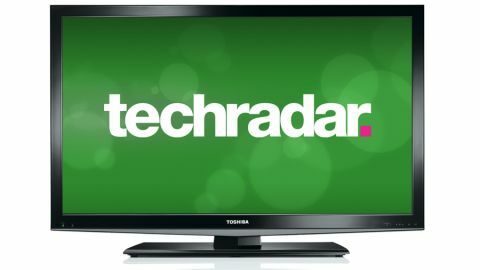 Freeview HD and the brand's smart TV platform, Toshiba Places, features on the 40RL858B and 40RL953B, the latter sporting a metallic design and adding a 100Hz scanning option that should completely banish motion blur. The similarly metallic-coloured 40TL868B in Toshiba's TL Series also claims Active Shutter 3D, although the really high-end features are found on the WL and YL Series models. With Active Shutter 3D, CEVO engine processing and 'full' LED local dimming, the 42-inch 42WL863B and 42-inch 42YL863B are worth searching out. The LCD panel's 1920 x 1080 pixel resolution is a bit of a relief after discovering that the Toshiba 40BL702B doesn't carry a DVB-T2 tuner for finding Freeview HD channels, but note that this is a 50Hz panel with no anti-blur 100Hz option. More alarmingly, this TV lacks a Blu-ray 24p playback mode, so despite that Full HD, the panel isn't technically ideal for hi-def discs. Edge LED backlighting is in place, which ought to mean some decent contrast and a certain level of local dimming. But in previous years it's around the 40-inch size that the Edge system - where lights are used only at the sides and fire light across the rear of the panel, to create a super-slim product - becomes less impressive. Ins and outs are excellent, with no sign of cut corners whatsoever; four HDMI inputs should lend some HD versatility to the Toshiba 40BL702B, which also sports two USB slots, component video, composite video, and a 15-pin D-sub VGA port for hooking up a PC in the old analogue way. On the side is a Common Interface slot for adding Top-Up TV viewing cards. Although there's no Ethernet LAN port or built-in Wi-Fi - as found on almost every single TV priced over £500 (around $800) - the Toshiba 40BL702B does manage to provide a couple of rarely seen connections; Scart and a direct subwoofer output. Other audio ins include a set of stereo audio phones, an optical digital audio output and a headphones slot. Talking of which, audio comes via some relatively weak 6W stereo speakers, with some basic audio modes that include a pseudo-surround option. Its sole USB slot, situated on the side of the TV, can play digital material from a USB flash drive, HDD, camera or smartphone, and file compatibility stretches far beyond the basic JPEG/MP3/AVI formats that most cheap TVs offer. The Toshiba 40BL702B is probably more notable for what it lacks. But those not interested in smart TV or Freeview HD - likely Sky, BT Vision or Virgin Media subscribers who already pay for HD channels and have BBC iPlayer/Sky Player access covered - will like having the option to purchase a basic flatscreen LED TV without having to waste money on pointless add-ons. Besides, the Toshiba Places smart TV platform is a tad clunky and bereft of any services of note, aside from BBC iPlayer and YouTube. You're not missing much.